Are you going to join Next Level Guitar ‘s Premium Membership or buy their DVDs for your guitar learning? Does it really work for you? Before you go, read the Pros & Cons, user reviews first! A lot of self-teach courses out there are intent in burning a hole in your pocket. Next Level Guitar is a different breed, not concerned with raking in bundles of cash. It’s just about teaching. Currently Next Level Guitar offers online guitar lessons(Premium Membership) and DVD guitar courses. The DVD courses contains 3 DVD sets: NLG 1-4 DVD Set, the brand new four DVD beginner course; NLG 5-8 DVD Set, the beginner DVD course; NLG 9-12 DVD Set, the instructional series of DVDs. Next Level Guitar also offers other themed DVD sets, such as Blues 2 DVD Lessons, Beginner Fingerstyle Guitar, Acoustic Guitar Techniques 4 DVD Set, Slide & Blues Lessons, etc. First off, they offer a lot of online content for free. That’s right; they just give you some lessons, to help out. These are generally for beginners, and offer more general information on how to play. David Taub, the site’s main instructor, believes in the online guitar community, and remains intent on offering some content for free. However, you’ll have to pay membership to get full access. Next Level Guitar ’s content is massive, and covers everything from basic posture and hand positioning to information on chords and scales, music theory lessons and a whole host of more advanced lessons. The new learner simply works through the beginner’s lessons to establish base-line knowledge and then pursues the instrument however they choose. There are a whopping 785 online lessons, and that number is only set to rise. Needless to say, you have an immense amount of information at your disposal. The videos themselves are very detailed and clear, and the instruction is virtually idiot-proof, but doesn’t come off as condescending. They simply go over everything at a steady pace, and take extra time on anything that may be difficult. The videos are also of surprisingly good quality and have close ups where necessary. As well as all of this, there are downloadable jam tracks, many of which contain a supplementary lesson. With this, you can experience what it is like to play with a real band, and you will develop an ear for music as a result. The course has so much content that if you’re dedicated, there’s no reason that Next Level Guitar can’t take your playing from amateur to pro, all at your own pace, and to your own schedule. Unfortunately, whilst the website has tons of good content, its layout is altogether quite sloppy, and certainly not very user friendly. It is not impossible to find what you are looking for, of course, but navigation is in no way intuitive. So, if you decided to learn with Next Level Guitar, i recommend you buy their DVD set which is better organized. Another problem is that their refund policy isn’t found. This is not good for us to get our money back while we are not satisfied with the NLG course. So, you’d buy it after full consideration, because you need to bargain with the merchant to get a full refund when you are not satisfied with it and wanna return the dvds. Next Level Guitar has a lot to offer for a beginner, and its biggest selling point is the amount of content available for $139 per year (it works out to more if you choose a payment plan). This is also good when you consider that all of the content becomes available at the click of a button, as opposed to having to wait weeks for DVDs to come through. When you get full access, the website could take you a long way, but the content is mainly geared towards beginners, and once you reach an advanced stage, there may not be a lot more that Next Level Guitar can offer you. With the DVD sets, it’s good for beginners to start the guitar learning journey, with the NLG 1-4 DVD set and 5-8 DVD set. And if you wanna go to the next level, the 9-12 DVD set is for you. NLG konws how to start you off by teaching you the fundamentals and building a solid foundation to keep you moving up in levels. Nice choice anyway, but you’d buy it after full consideration due to the lack of refund policy. 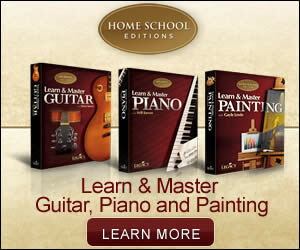 Next Level Guitar offers online guitar lessons(Premium Membership) and DVD lessons. The premium membership costs you $29/monthly, 75/quarterly or $139/yearly. The cost DVD sets varies, from $24.95 to $229. It depends on your preference. * NextLevelGuitar Lessons are only available from NextLevelGuitar.com, which is the only place where you can learn from or buy their DVD sets.